A Zoning Permit is required for all fences, decks, raised patios, pools, hot tubs, spas, retaining walls, new homes and remodeling of homes, building additions and sheds, regardless of their height and/or size. The residential zoning permit fee is a $75.00 for sheds, fences, decks, retaining walls, porticos, front porches, gazebos / pergolas and raised patios; the fee for all other residential work is $140.00. A Commercial Zoning permit also applies to any business that wishes to change ownership, expand their operation, and change tenants or signs. The fee for a non-residential Zoning Permit is $140.00. Sign permits are required for all freestanding signs, wall signs and banner-type signs prior to their installation. If either the resident or business does not conform to the zoning in their particular area, and the Zoning Permit is denied, they have the right to apply to the Zoning Board for approval. Residence-based business or home offices are permitted and are subject to meeting the standards in the Township’s Land Use Ordinance. These standards are intended to ensure that the home office does not negatively impact adjoining residents and the residential character of the neighborhood. 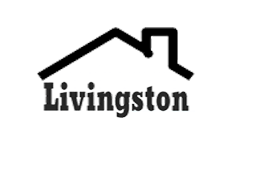 You can obtain more information by visiting our website information: Livingston residence-based businesses or home offices. The Zoning department is here to provide direction and assistance throughout the Zoning process. Should you have any questions or need assistance, please contact us.